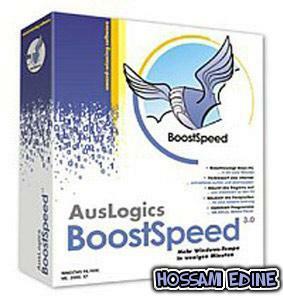 Auslogics BoostSpeed - the ideal solution to speed up your computer and Internet connection. This powerful Windows optimizer will boost Internet connections, tweak Windows to its peak performance, clean and defrag disks and the registry. It's a great way to speed up your PC and keep it clean and optimizedStart programs faster. Speed up computer start time. Increase Internet speed, optimize your Internet Explorer, Firefox and E-mail programs. Boost Speed will clean up disks and the Registry to speed up your computer and tweak Windows to its peak performance. Modify Windows settings, file system and services to greatly increase system performance. BoostSpeed will keep monitoring your system for possible optimizations and let you know if such optimizations are possible. You can also run the System Optimization Wizard to periodically optimize your PC.